Hoverflies are just incredible. 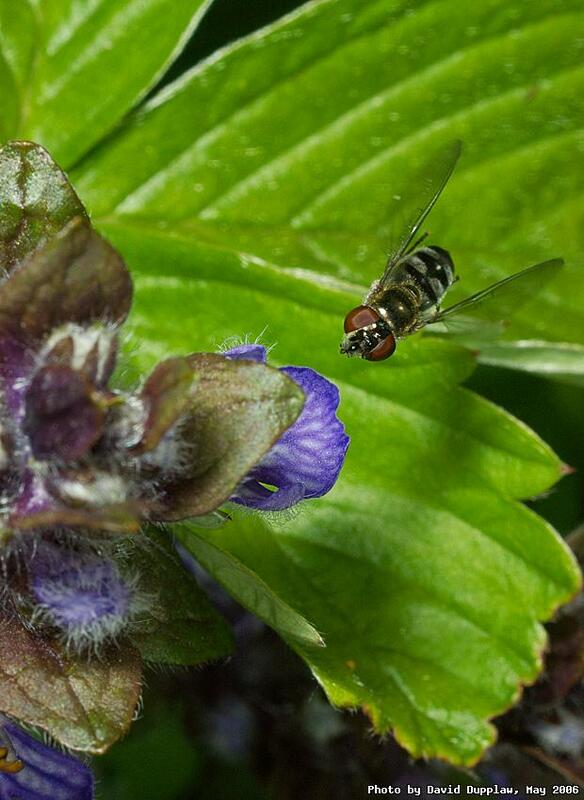 It seems amazing that such a small brain could be so able to perform the mid-air trickery that hoverflies can. I spent some time just watching this fly as she expertly guided herself through the flowers in our patch. Like most flies, you can tell this is a female because the eyes do not meet at the top!